The completion of one of Glasgow’s unfinished residential masterplans is proving to be a masterstroke for the developer behind the project. 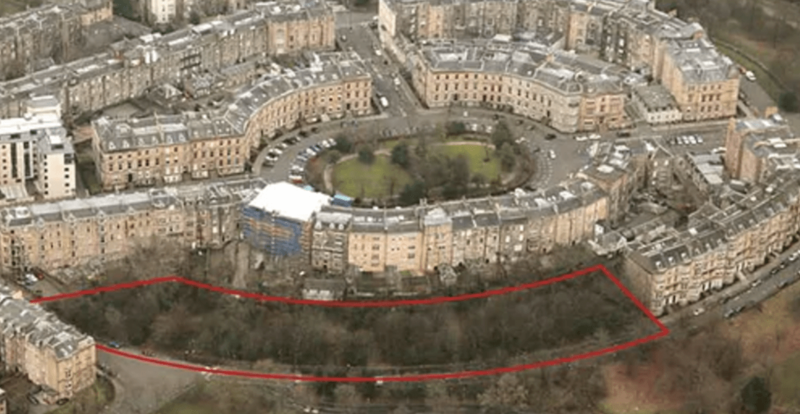 A stretch of the outer ring of Park Circus in the west end was never built because money for the 19th century scheme ran out. 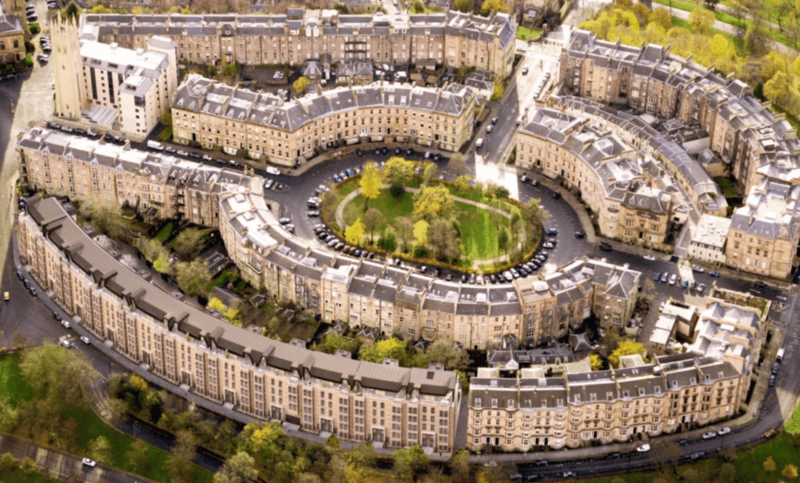 Park Quadrant Residences took on the challenge of filling the 166-year-old missing link and the gamble has paid off with more than 1,000 enquiries for the first batch of modern tenements. All of the first 17 apartments released for sale in August have been sold. 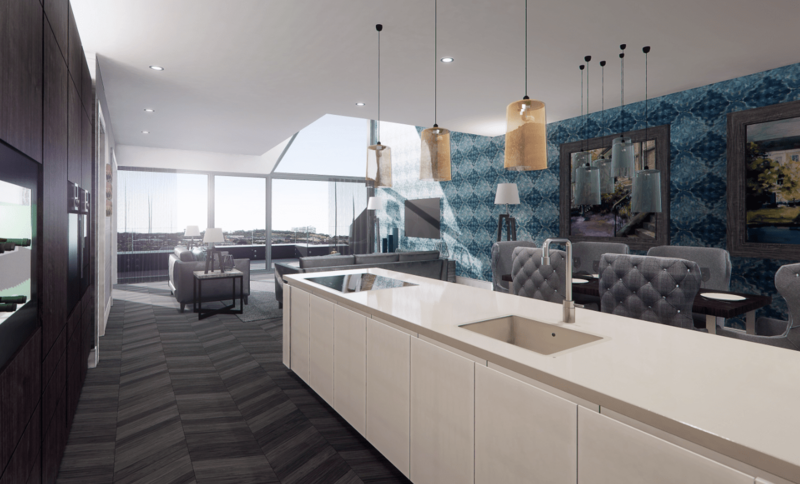 The new development is appealing to a wide range of buyers, including downsizers, sidesteppers, first time buyers, investors and those relocating to Glasgow. It is designed to be sympathetic to the area’s rich heritage, often heralded as the finest example of Victorian townscape in the city. Park Quadrant Residences by Ambassador Developments (Park Quadrant) will match the height and aesthetic of the original plan for the row of buildings. Natural sandstone is being used to complement the palette of materials used at Park Circus, while the roof will echo the design of nearby Park Terrace. The exterior of the eleven buildings will reflect the grandeur of the era in which they were imagined by Charles Wilson in 1851, while the interiors will combine classic and contemporary design. The collection of 98 apartments, duplexes and penthouses feature quality fittings and a residence Manager will be on hand to provide support services, from receiving deliveries and coordinating cleaning and maintenance to monitoring CCTV. Gordon Coster, director at Ambassador Developments Park Quadrant, said; “We are very proud to be completing this missing piece in Glasgow’s history. Carole Mackie, head of New Homes for Scotland at Savills, said the sale of all 17 apartments released has led to accelerated release of more apartments to keep up with the demand. She said Park Quadrant Residences is appealing to both of these markets, as well as to a number of investors, who are viewing Glasgow as very good value, compared with other prime locations across the UK.